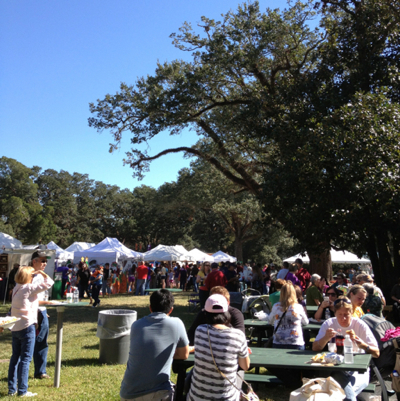 Today we took a road trip to Oak Alley Plantation for the 7th Annual Fall Arts and craft show. We called this our 2nd Annual adventure. Last night I looked up the address and typed it into maps on my iPhone. We got an early start so we could enjoy the show before the afternoon sun cooked us. I picked up Sally and Carol and we were on our way. I opened up maps on my iPhone and Siri took over telling us which way to go. That was my first mistake listening to Siri when I knew which way to go. We drove along turning left and right on roads we knew weren't familiar. 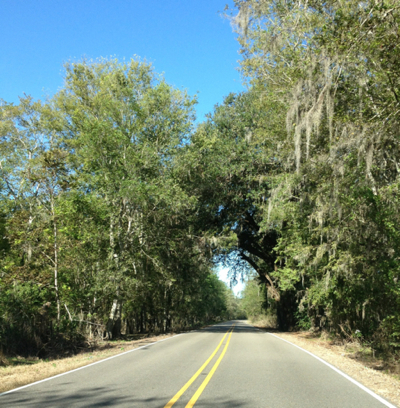 We were enjoying the bayous and little towns along the way. 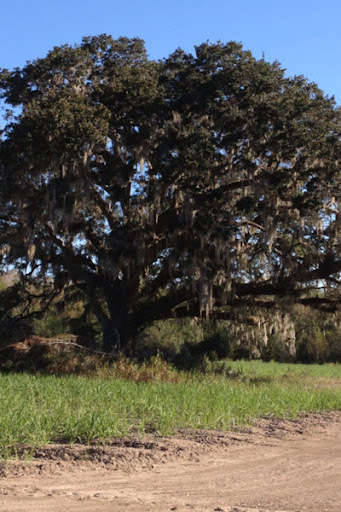 We stopped and took a picture of a mighty oak covered in moss. Notice the dirt road? That should have been my second clue! My third clue. The trees growing over the road! This was not familiar territory but we kept driving. Trusting Siri knew where she was taking us. All of sudden Siri stated you have reached your destination "Vacherie Street, Lockport, LA. Wait a minute Siri our final destination was suppose to be Oak Alkey Plantation in Vacherie, LA. I did not pay attention to AutoFill! We pulled over to the side of the road and I had a little talk with Siri. Look missy you got the route all wrong. We wanted to go to Oak Alley Plantation. Siri's favorite thing to tell me is she did not understand. Would I like her to search the web? No honey I want a map with directions to Oak Alley Plantation. Thank you! Siri tells me; Beverly you don't have to thank me. I love talking to my iPhone. We stopped at a gas station and asked a nice man filling up his cooler with beer to go fishing "where are we and how far away is the plantation?" I loved his cajun accent and way he looked at us like we needed a map. We drove 38 miles out of our way. We were close and followed his directions to our final destination. Look at the crowd! 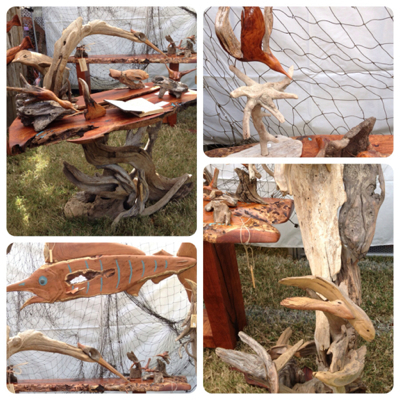 Here are a few of my favorite things from the craft show. 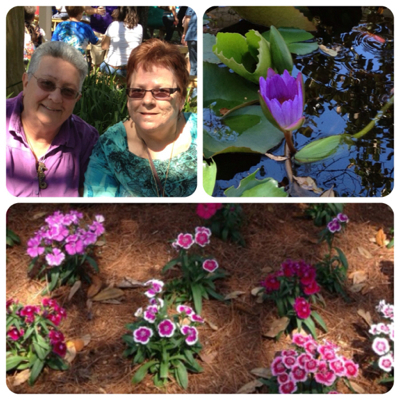 It was a beautiful day spent with friends. Our drive home was short and uneventful. Siri and I are going to work on our communication skills. Oh how things have changed.... I can remember you (and Crystal) arguing with the GPS as to the right way to go somewhere. I'm glad your adventure didn't leave you stranded in a swamp somewhere. Judith I have learned to travel with the river as my guide. As long as I can see what side of the river I am on I can find my way home. We're just glad you made it safely! And we had a wonderful time!